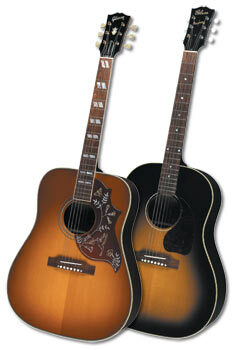 Gibson’s new J-45 True Vintage captures the genuine spirit of Gibson’s most popular acoustic. Nicknamed “The Workhorse” for its simple, rock-solid construction, the new J-45 True Vintage—hand-made by Gibson Acoustic in Bozeman, Montana—offers the build, materials, looks, and tone of this legendary guitar as it was the day it was first introduced in 1942. This new model stays true to the original in every way, including the same round-shoulder dreadnought body design, with a top made from AA-grade Sitka spruce, custom vintage top bracing, and back and sides constructed from pattern-grade mahogany from Honduras. Progressive designs and effortless playability make the RBX series our best-selling basses. Their commanding looks and big low-end tone equip these RBX basses to take on any challenger. The ergonomic body design and 3-D headstock are identifying qualities of RBX374 and RBX375 basses. The smooth tapered feel of the bolt-on neck along with the specially designed humbucking pickups and active circuitry create a comfortable feel.The RBX170 bass shares the same unique body shape with big brother RBX374 and has a neck made of quality maple with rosewood fingerboards. Two volume knobs and a master tone control the J-and split-style pickups. These basses are the perfect choice for value-minded players who demand top-of-the-line quality. Giving body to the guitar sound and adding supple power and intensity - that is the task of the Energizer. Turning up the TUBE control to drive the 12AX7 produces warm crunch with rich harmonics. The BOOST control spruces up highs and lows, resulting in more transparency. Enjoy a powerful tone also when recording directly to a line input or via USB on a computer. The Ibanez RG350DX comes with the ultra-fast Wizard II neck and has Ibanez IBZ INF Infinity series pickups which give one of the best sound which helps play faster.Â One of the best in its price range. The RG350DX also has a 3-piece maple neck, with an bound rosewood fretboard. The rosewood fretboard is fitted to provide a smooth tone. The Ibanez RG350DX has a 24 jumbo fret board with a basswood body and all black hardware. The stable Ibanez Edge III tremolo bridge used in RG350DX is the same tremolo set used in the other expensive Ibanez models. The price tag with all these accessories is great. Plug into BOSS’s most powerful rack processor ever. With a dual COSM® effects engine and an expansive I/O section that includes XLR outputs, three sets of send/returns, and a USB port for data exchange and audio flow, the new GT-Pro is the perfect front-end for driving a wall of powered cabinets or for direct, pro-grade recording applications. Whether on stage or in the studio, you’ll be amazed at how much power and performance this top-quality rack has to offer.